Spring is here and it would be a great time for you to engage in some interesting gaming activities. Play N Go has decided to bring you some interesting initiative. Throughout March until mid April, you will be offered with an opportunity to compete for a chance to win a 9-day trip to South Africa’s Safari. The vacation will include accommodation, €1000 in spending cash and tours. Apart from the exciting trip, you will have a chance to win some more goodies like an iPad and MacBook Air. There are 2 iPads up for grabs and one MacBook Air. This exciting offer will come along with the release of Easter Eggs; which is a new video slot that will be arriving in casinos on March 18th for both mobile and desktop players. What do I need to know about this new slot? The slot comes with 5 reels, 20 paylines and a holiday spirit. Easter Eggs Slot will revitalize your holiday spirit with cute Easter bunnies on display, lambs, roosters and a myriad of prize filled Easter Eggs. This slot will give you an opportunity to play with two scatter symbols which are for free spins and a game where players will open up eggs for coins. The golden egg represents the wild symbol and it will substitute for other symbols and assist you in completing a winning combination. The Easter Eggs will include a gamble round that as a player you get to try and multiply the prize by guessing correctly on the colour for a face-down card. How will you take part in this Easter Frenzy? If you want a chance in the competition for a 9-day trip, then you can start by making wagers worth $20. For each wager worth $20 you get a raffle as long as you place wagers between March 20 and April 10. For better chances of winning, you need to make as many bets as you can for more tickets. A lucky safari winner will be selected and announced during the draw day which will be April 13th 2015. For your chance to win an iPad or a MacBook Air, you must wager and accumulate at least $50 on Easter Eggs and you will have participated in three raffles which will be held on March 27th, April 3rd and 10th. 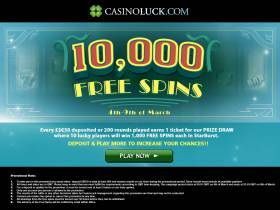 These offers are available on Play N Go software run casino rooms. 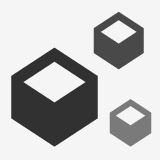 Depending on your casino of choice, you will have more goodies lined up for you. Be sure to have good money management as you look into getting the best from the raffle competitions. Get ready for CasinoLuck's Thanksgiveaway where you earn tickets to a raffle where 10 lucky players will win 1 000 free spins each in Wild Turkey! 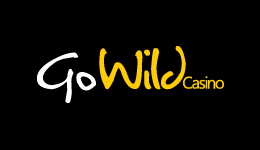 Interesting things to do with you mobile at GoWild Casino! Hot promos and new ways of playing and winning on your mobile phone are coming your way at GoWild Casino! Read more in this article! It is time for Bingo Week at Paf with some great prizes like the fancy Sony SmartWatch 2 that will tell you what is happening.